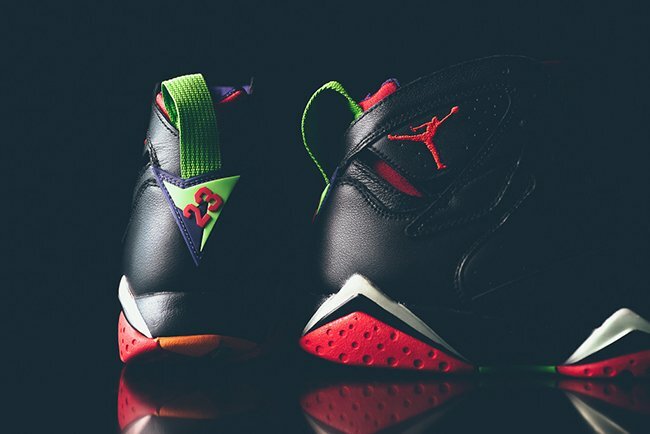 The Air Jordan 7 Marvin the Martian has a release date set for August 15th, 2015. 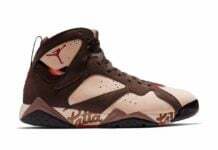 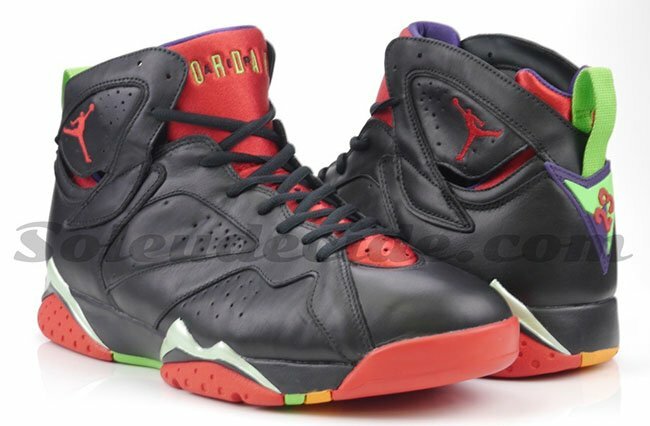 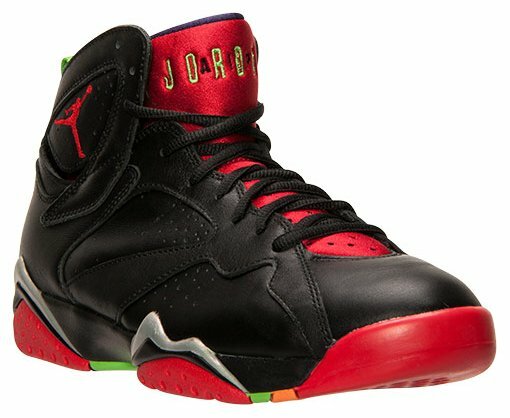 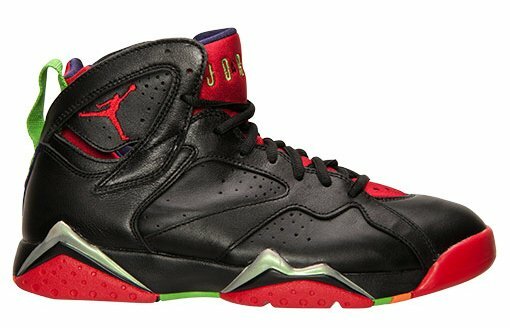 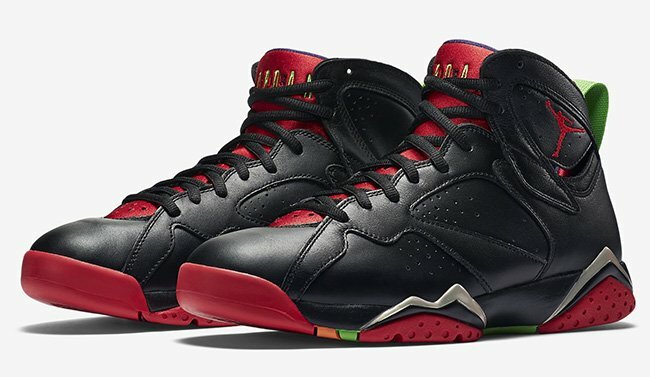 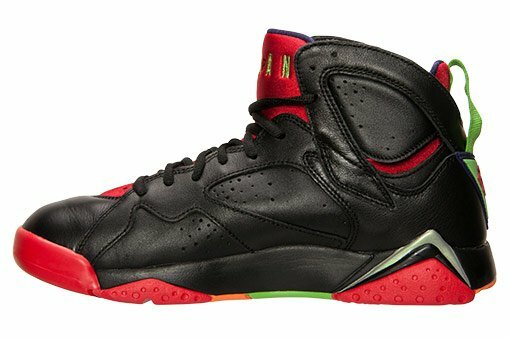 Continuing on with the Warner Brothers collaboration the Jordan 7 Marvin the Martian comes with a black upper using soft leather. 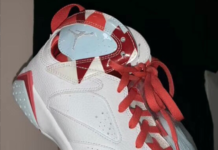 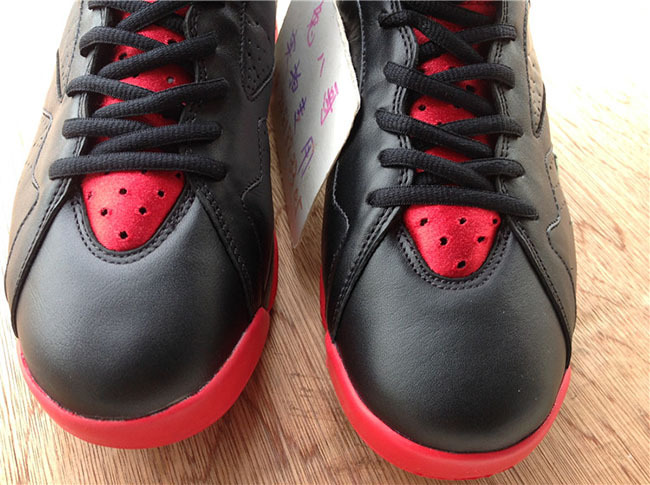 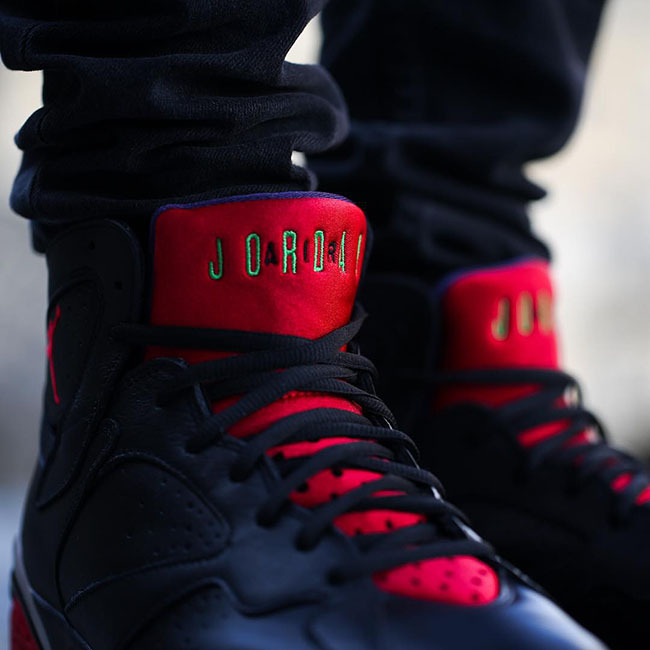 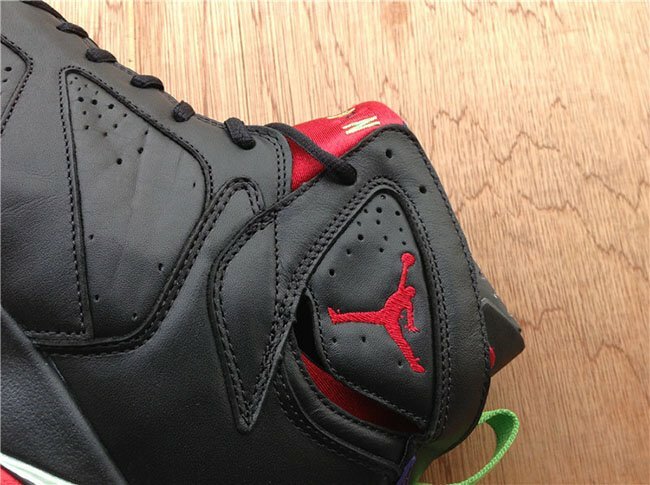 University red is applied to the tongue, outsole and Jumpman logo. 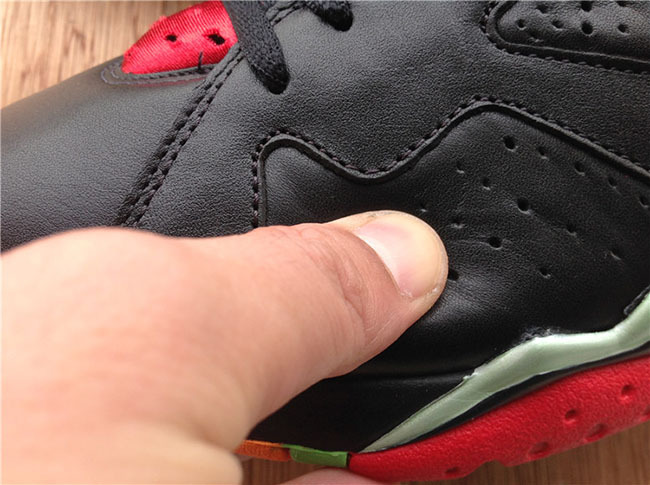 Small amounts of cool grey and green pulse are used throughout. 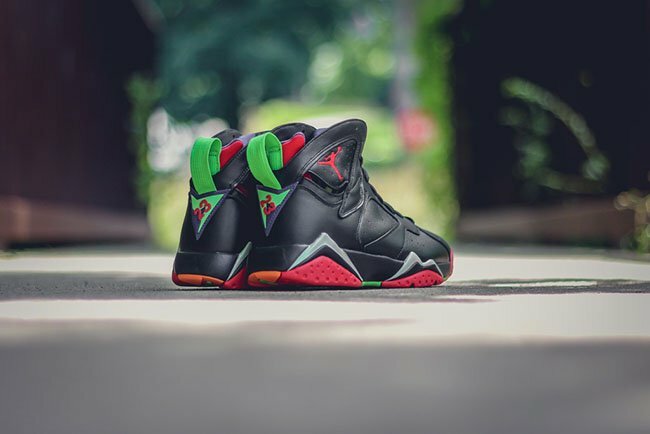 You can expect the Air Jordan 7 ‘Marvin the Martian’ to release on August 15th, 2015. 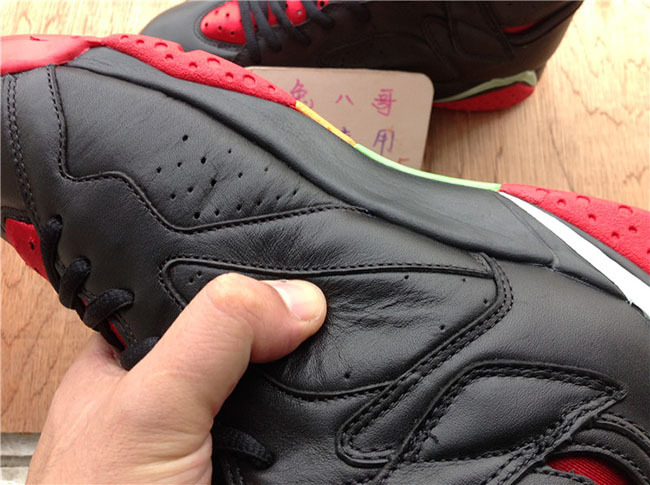 Retail price will be the standard $190 which is given to the majority of remastered releases. 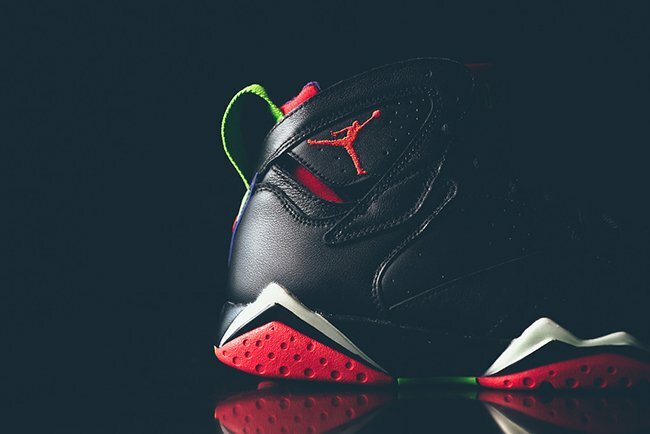 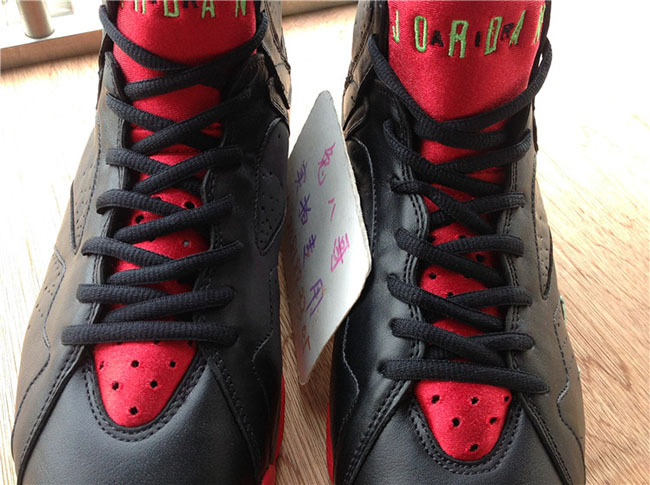 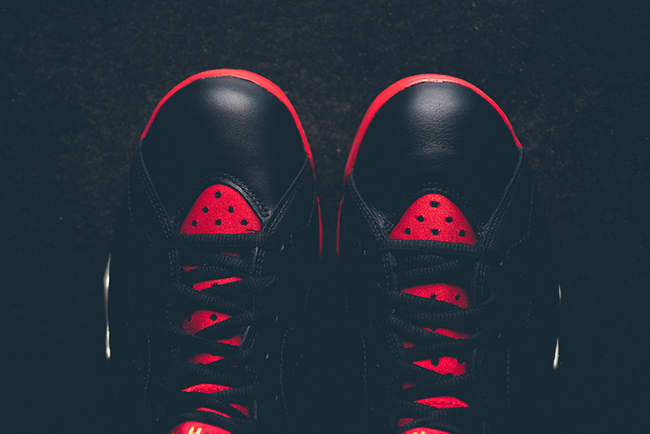 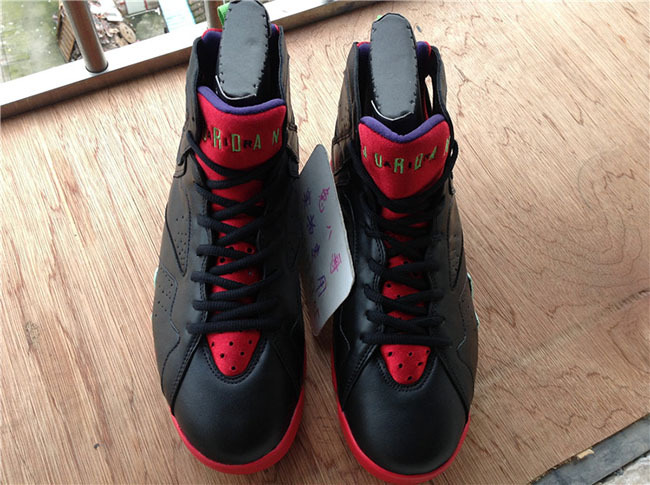 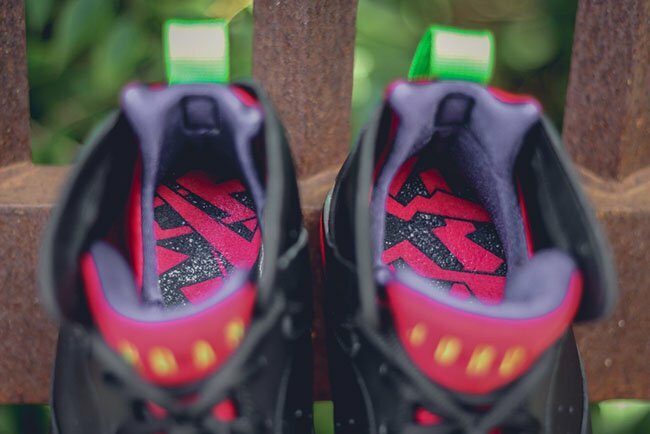 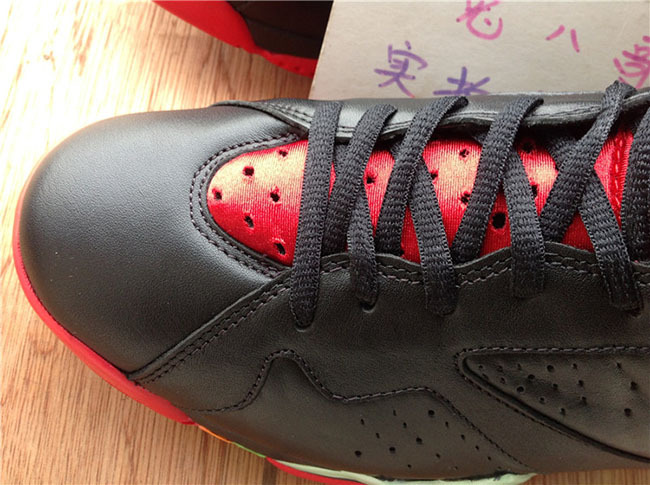 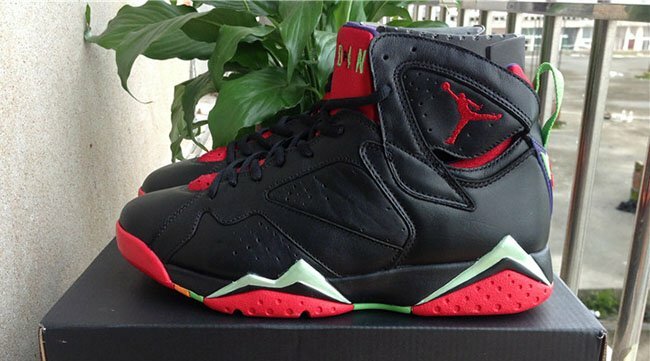 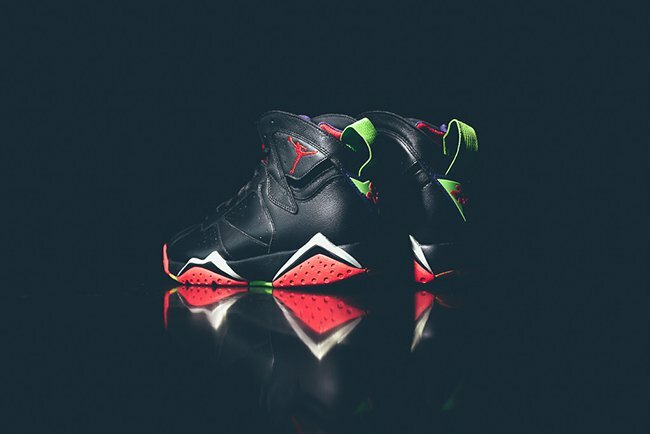 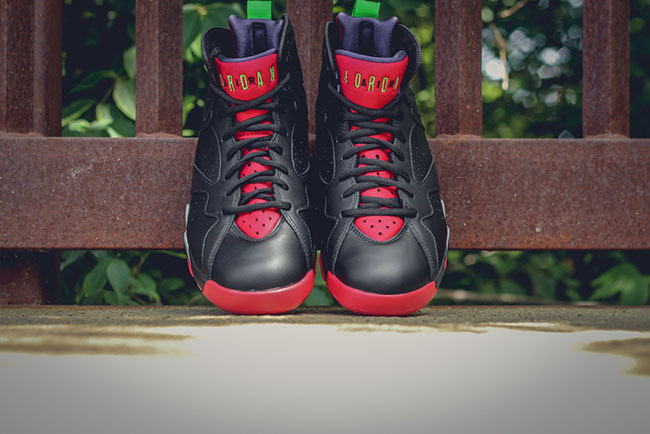 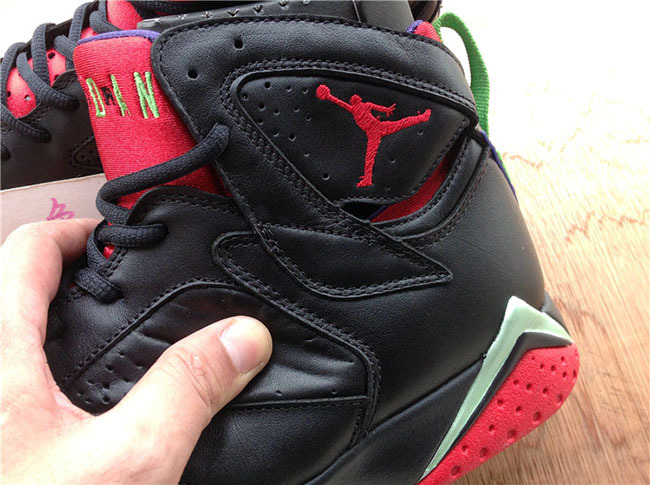 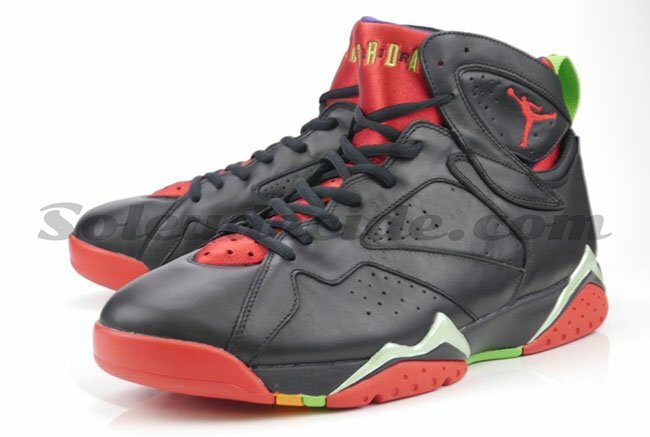 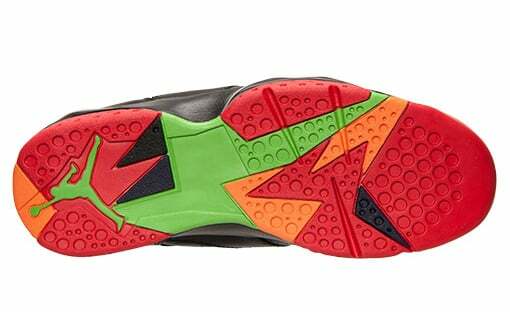 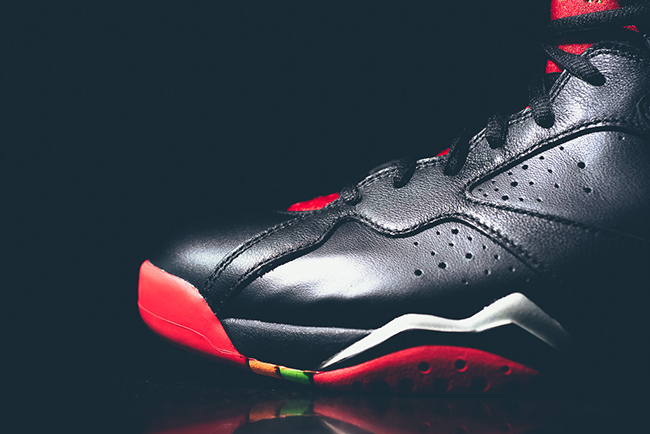 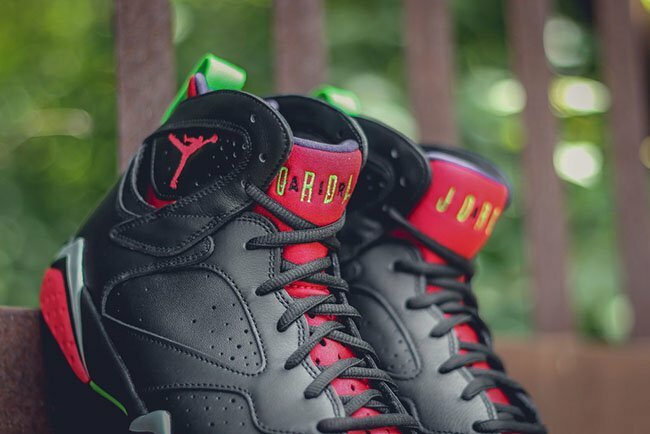 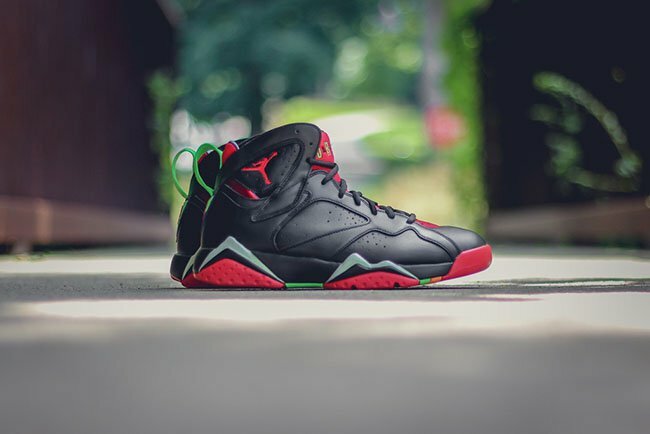 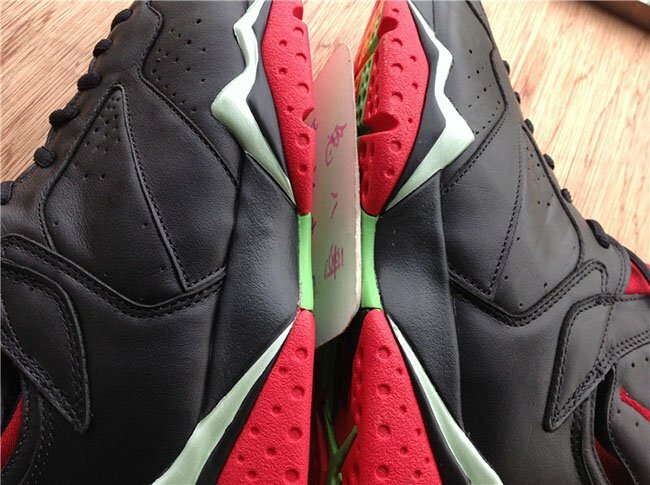 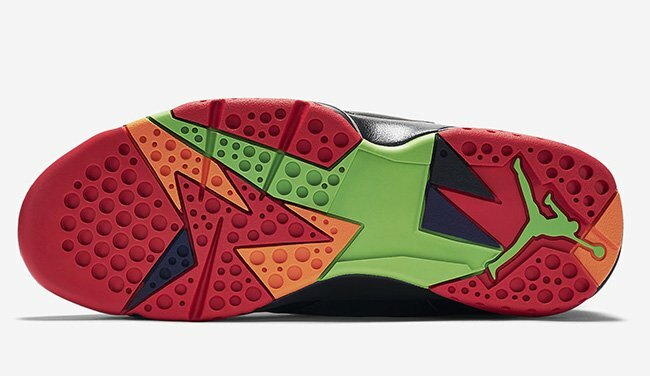 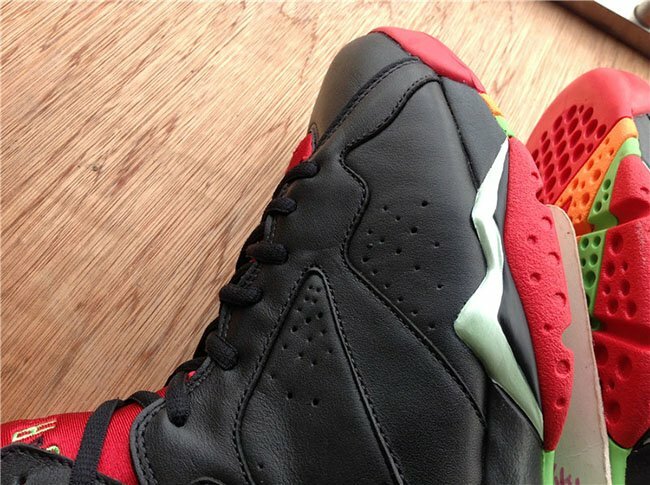 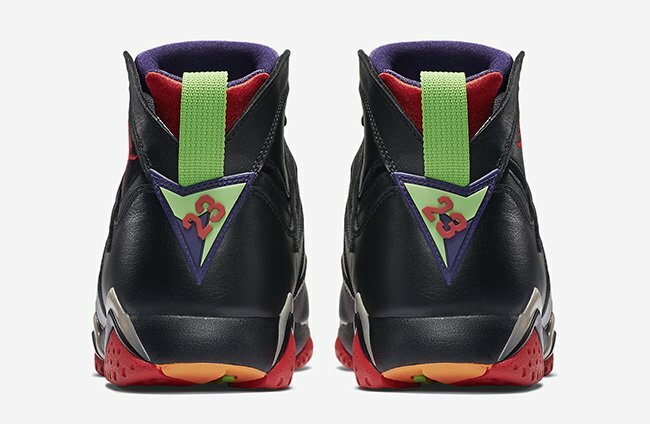 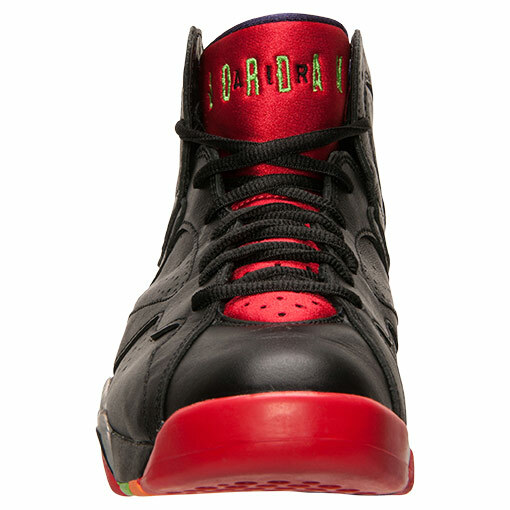 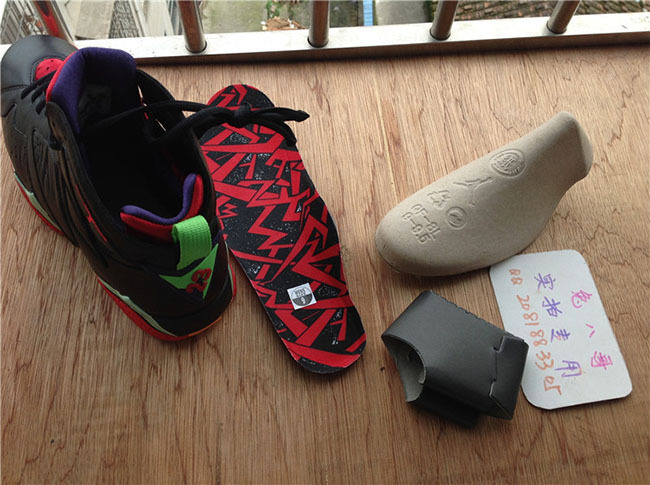 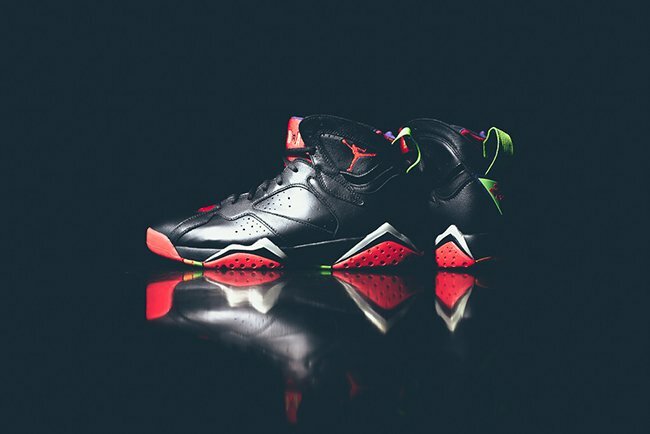 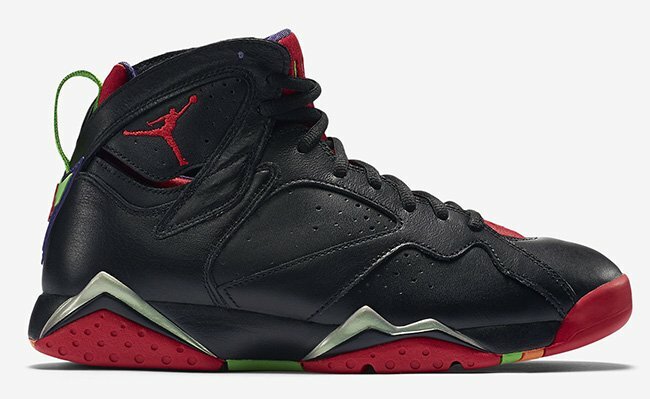 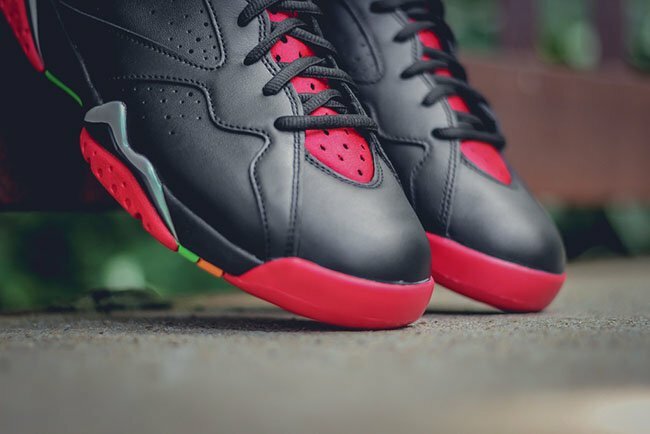 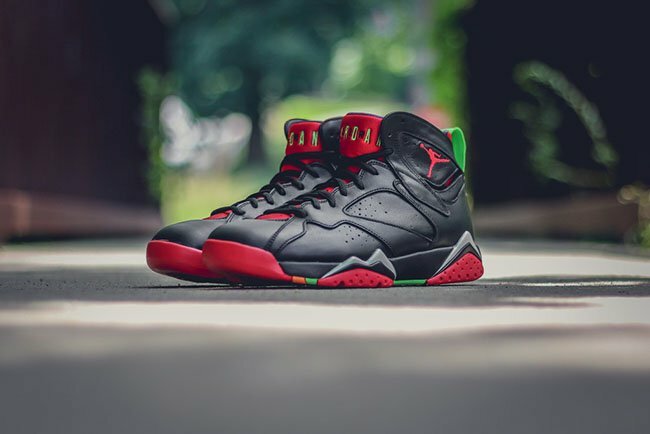 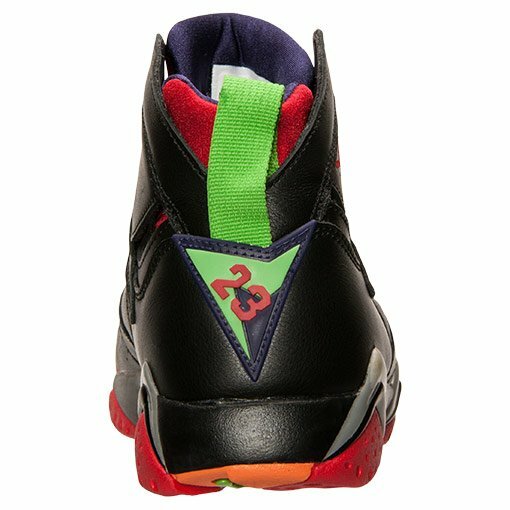 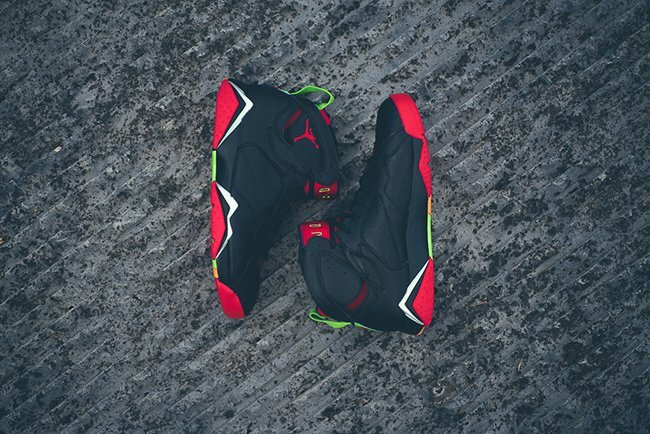 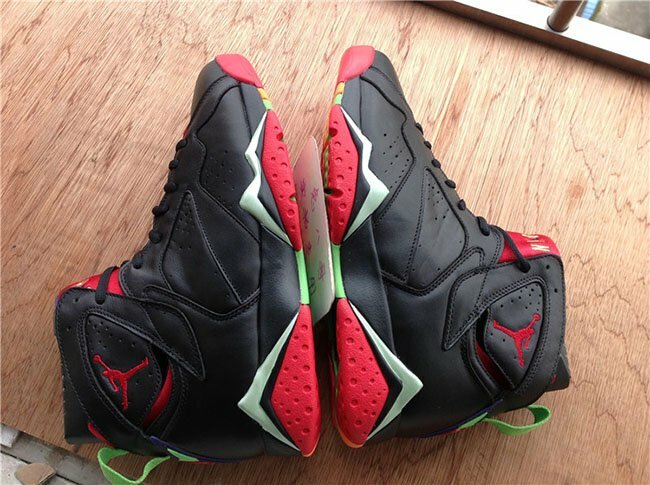 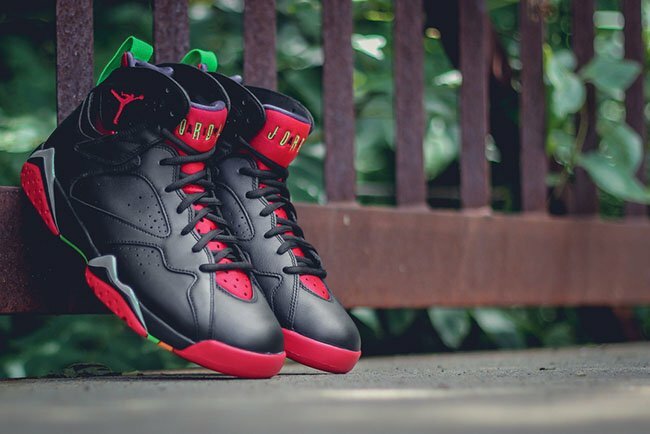 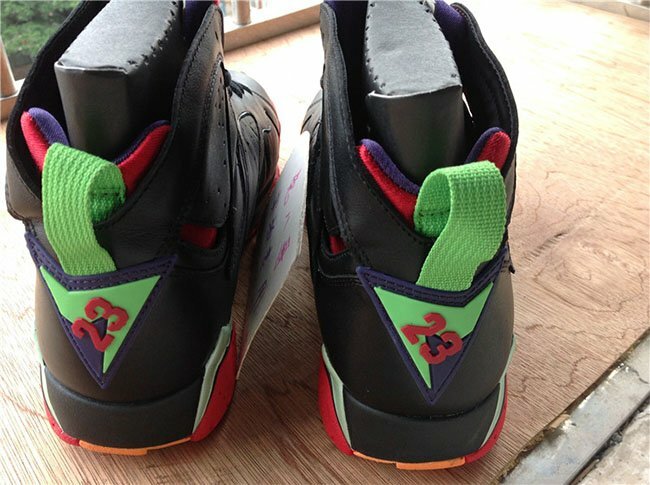 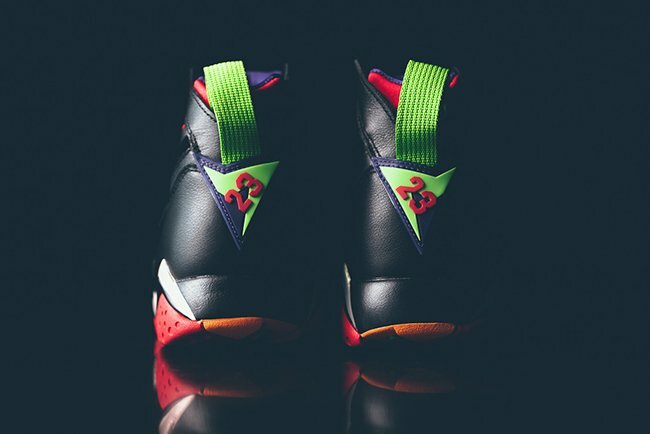 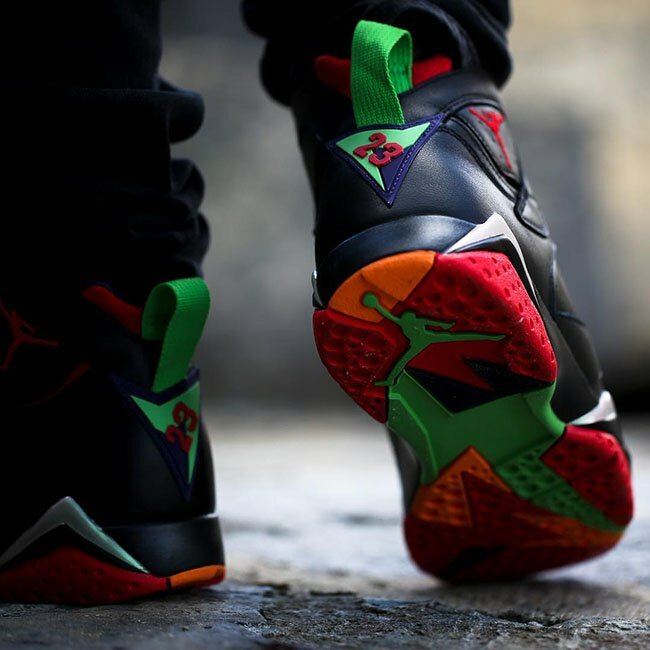 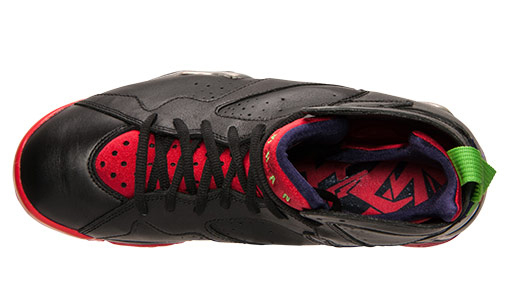 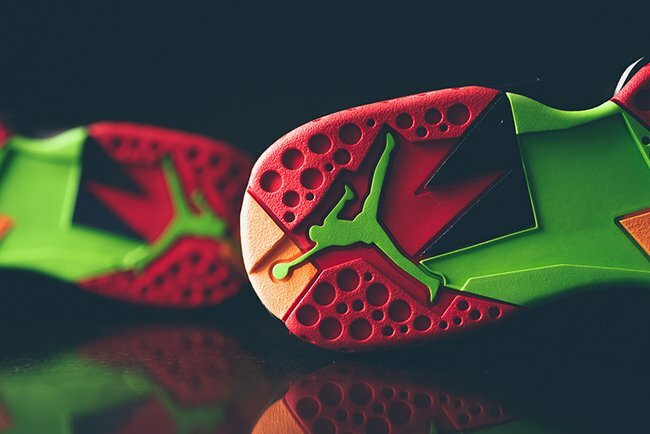 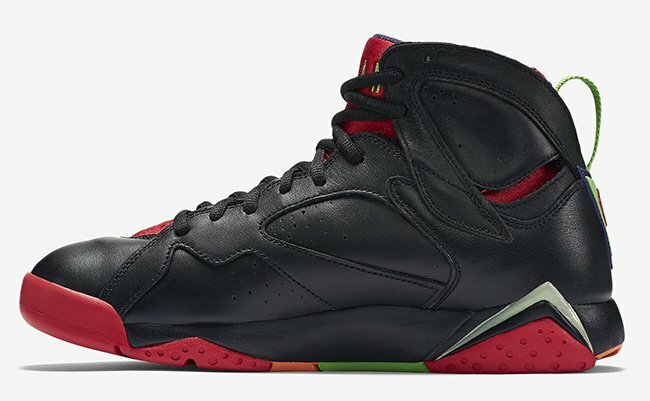 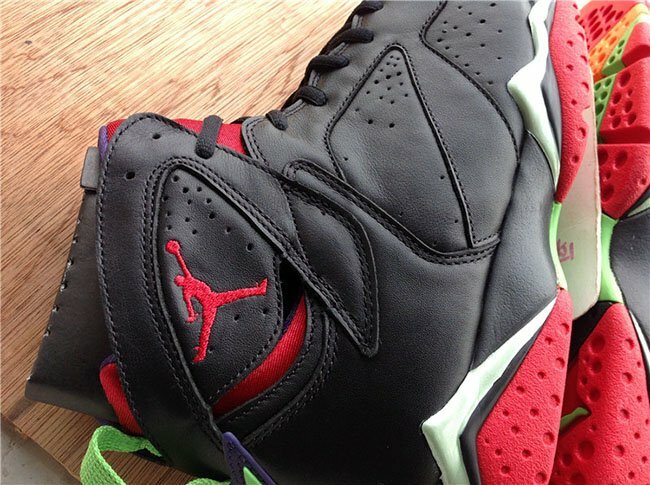 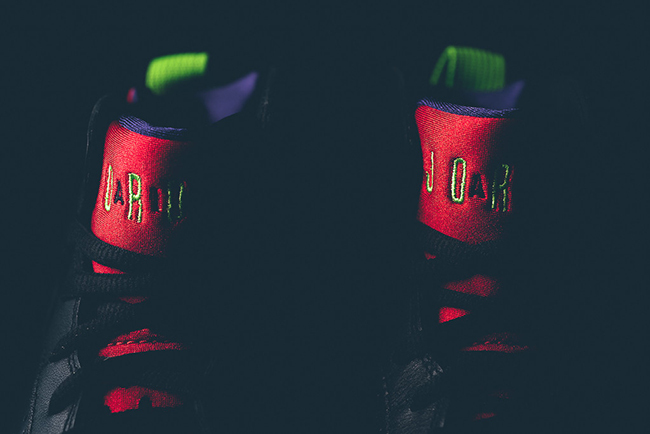 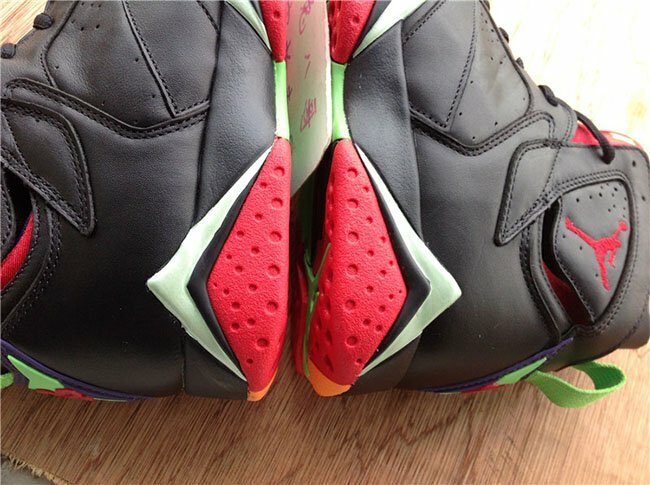 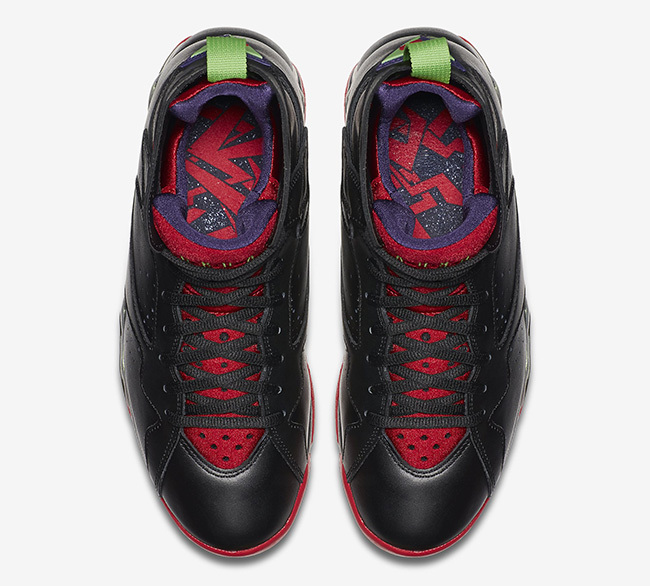 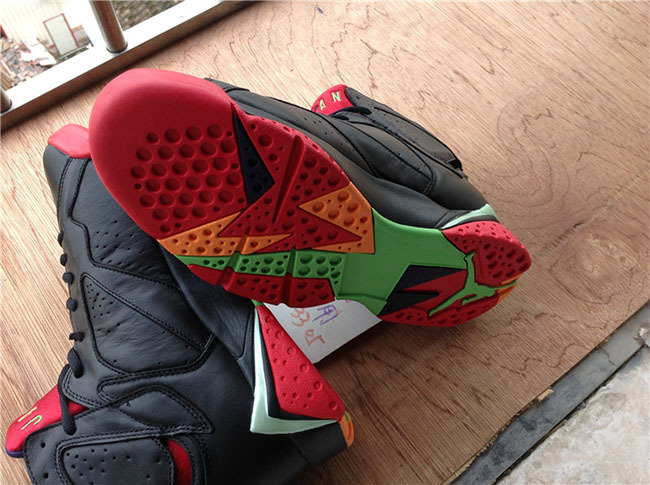 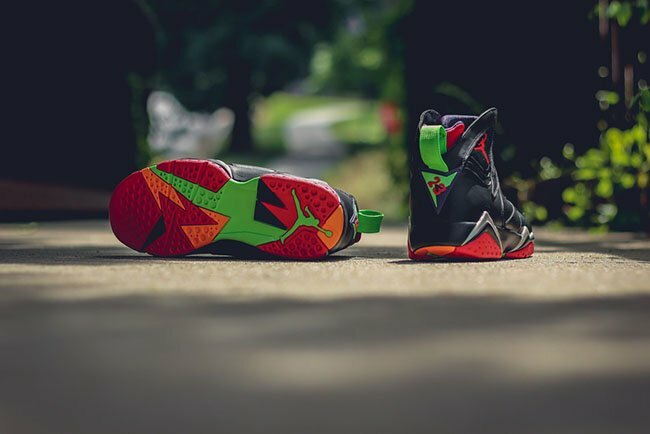 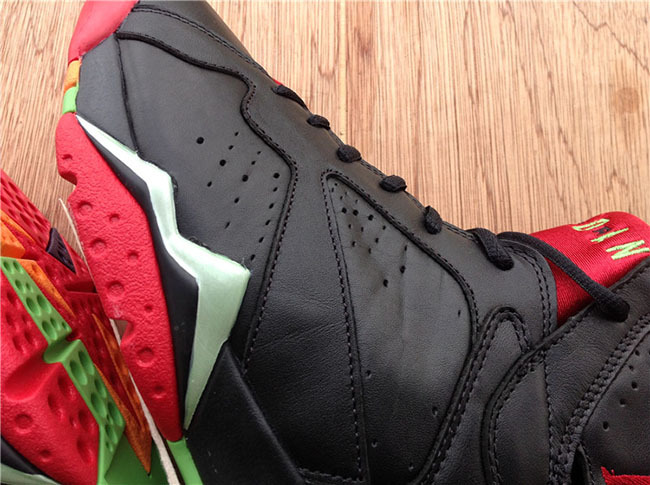 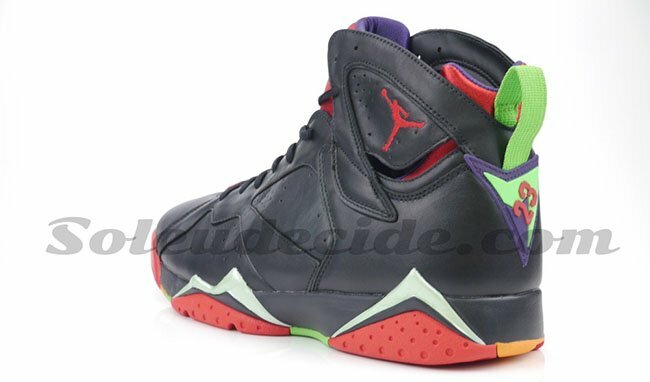 Below you can get a detailed look showing all angles of the Marvin the Martian Jordan 7. 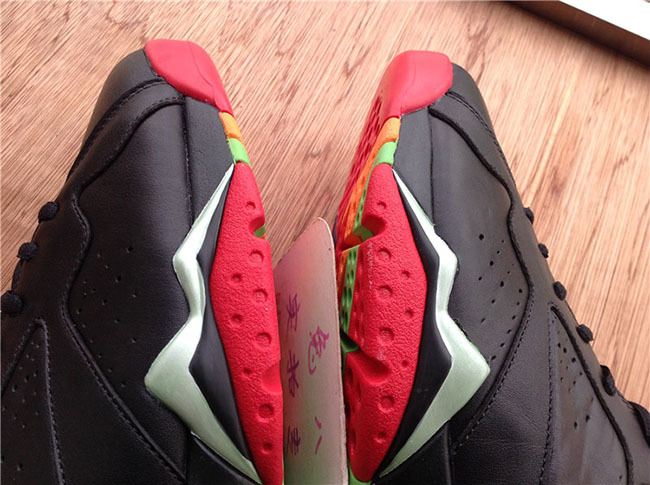 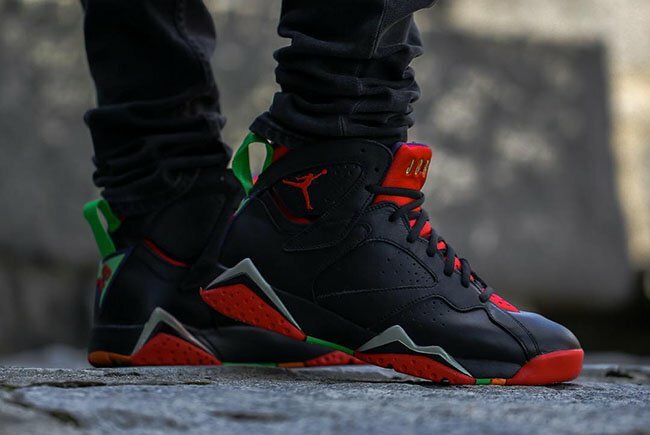 See below for a few additional images of the Marvin the Martian Jordan 7 on feet. 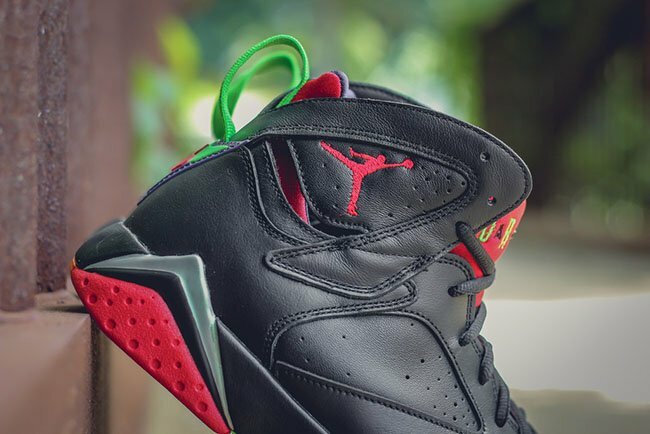 Update: With the official release only one week away, we get another set of detailed images of the Marvin the Martian Air Jordan 7. 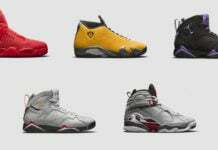 As a general release, pretty much all stores with a Jordan Brand account will receive a full size run including RockCityKicks. 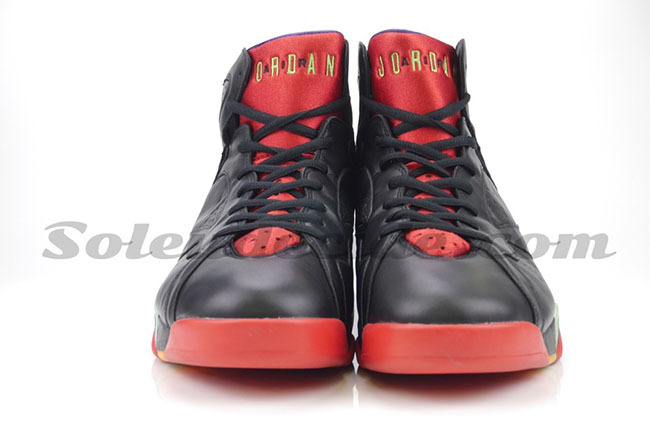 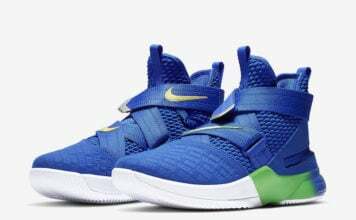 these are nice but i have the GMP vii so i am coolio!